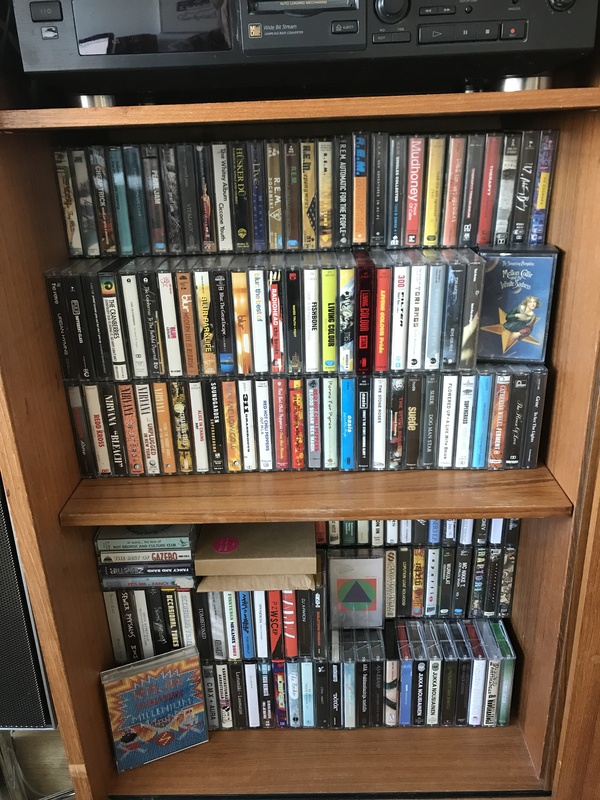 Since there does not seem to be a dedicated cassette discussion thread, and quite a few forum members are using cassettes I thought I’d create one for discussion of decks, tapes, recording practices and so on. I think it will serve a valuable purpose for anyone into cassettes. Later I’ll post some links and info, and general chat on cassette, I don’t want this thread to be used for spamming our latest cassette releases, use the our music section for that still, but if you have any stories, tips, information, links or anything relating to cassette and cassette recording then feel free to post it in here. 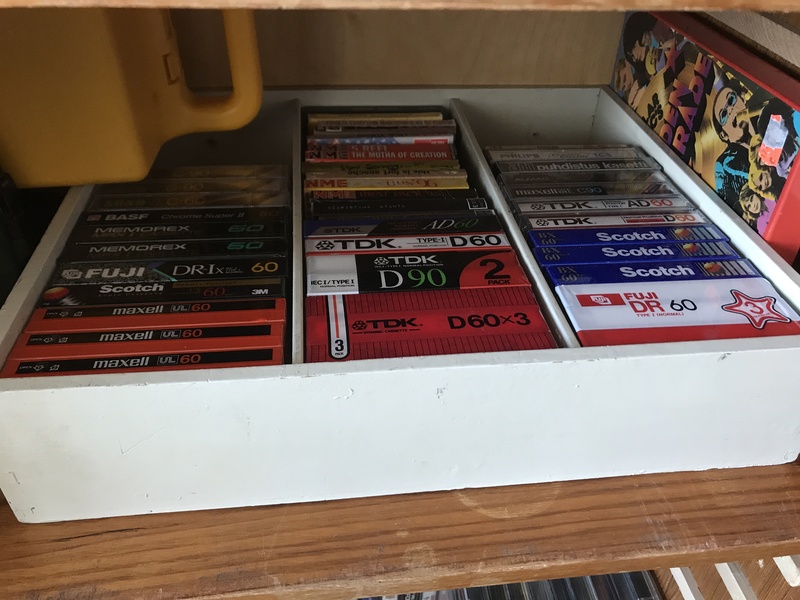 Similarly we don’t need anyone being critical of cassette or cassette users, if you aren’t interested in cassettes then this thread isn’t for you. More later, and I will add links to this first post in order to make them easy to find. 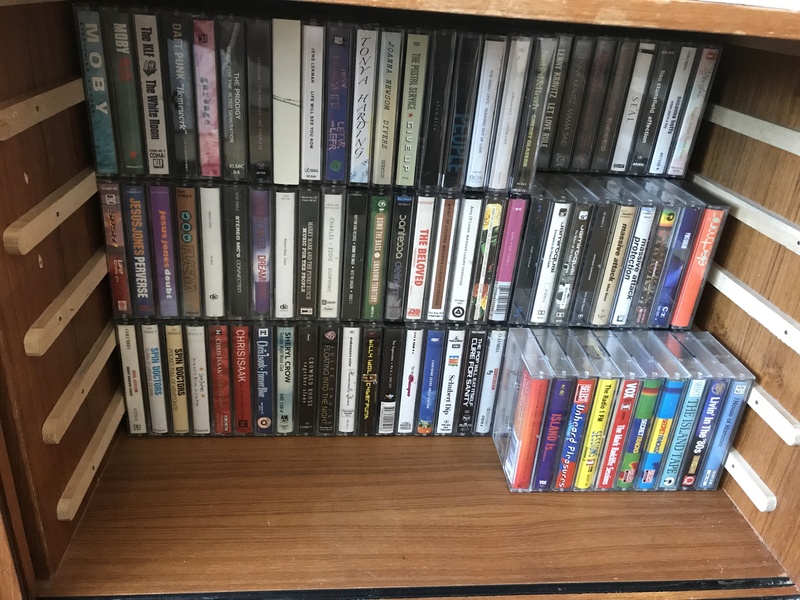 https://www.recordingthemasters.com/store/ One of the few places still making new cassettes, and lots of other useful stuff there. Tascam 202mkVII - Possibly the only decent new deck currently in production? Like many musicians of my generation, I cut my teeth (and my first tracks) with cassettes back in the 1980s. Initially, I did sound-on-sound style recording, bouncing between an ancient consumer reel-to-reel and my home hi-fi cassette deck (through a Radio Shack mixer and ‘reverb’, haha). Around 1987, I bought my first 4-track, a Tascam Porta 05. That was my intro to multitrack recording and I made an entire album by the end of my first week with it. By the end of the year, I’d begun recording at a local commercial studio and put the 4-track away for a bit. Ironically, the first record I made at that facility was released as a cassette EP. (and it had also been mixed down to a Tascam 122 cassette deck). However, I returned to the Porta 05 in the mid-1990s. By that time, I’d been using computers (Atari) to sequence my gear, and the combination of Atari and 4-track was quite powerful. I would use a Chroma Polaris as a sync box (it had built-in FSK features), and sync the Atari (running C-Lab’s Creator) up to a sync track on the Porta 05. All of my MIDI gear would be sequenced, and I could use the other three tracks for vocals, analog synths, guitars, etc. These days, I still enjoy using cassettes. I have a Tascam CD/cassette deck in my rack, and I still have a couple of Portastudios, one of which gets used quite a lot - in fact, I recently recorded and mixed an epic cosmic Berlin School style track on it. I find the 4-track cassette approach to be quite enjoyable. It gets me away from the computer and the ability to make endless changes and tweaks, forcing me to think ahead, perform all the way through, and leave in the potentially interesting mistakes. Cassettes are much easier to deal with than reel-to-reel tape machines (which I also use) and they still feel somewhat fun and disposable, despite the fact that there are fewer options for good quality cassettes (I always like TDK SMPro tapes for 4-tracking). Tape tip: Keep sync codes and pulses, click tracks and kick drums on the outside tracks to minimize bleed. I was thinking of getting a cassette deck as my daughter just got a walkman #prouddad etc. anyway thought she and I could both use it - any tips? Tascam brought out a new one but I made the mistake of looking at forums and people were a bit snide about the price / spec. I have the latest Tascam CD/Cassette unit in my studio (CD-A580). The trouble with the new models is that the tape mechanisms are not up to the pro levels of the past - they don’t feel like professional quality decks. This isn’t surprising, as I am sure there are few manufacturers bothering with such old and limited technology. This one certainly doesn’t come anywhere near the old 122MKII. It does the job, but I wouldn’t feel comfortable paying too high a price for it. Here in Toronto, Cassette Culture is thriving with a lot of help from Duplication.ca and The Dupe Shop. I didnt get near the pro levels of the past! Tascam 4 track and a technics hifi- which had a spectrum analyzer which bamboozled me. Heres my story: I started out in the late 80’s with a Amstrad Studio100 4track/hifi (lofi!) combo, I loved making little jams on that thing even though it wasn’t the greatest 4 track. I later started using studios and only really had cassettes for listening back, as most of my stuff was recorded to either DAT or 1/4” tape. Throughout the 80s, 90s and early 2000s was still fairy regularly using cassettes, although in the later years less and less due to cheap digital recording on CD, minidisc, DAT and eventually flash media. I kind of forgot about cassettes after about 2003, but still had a box of them stowed away, around 2009 I bought another deck to listen back to my old tapes, I remember being surprised at how much I liked the sound - something that when they were being used I didn’t always appreciate, digital recording meant that hiss and noise was much easier to avoid, whereas with cassette it was something you just had to accept to a greater or lesser degree, partly due to the medium but also due to equipment and recording practices. What wasn’t really that obvious to me when gradually going over to digital recording was the character that was missing when compared to tape, I guess I was so pleased that the noise of cassette was gone I didn’t give it much thought at the time. So nowadays I have 3 portastudios, a couple of portable recorders and 3 full size decks, I don’t always use them, but I think I am going to start using them more going forward - why? Longevity - my old tapes are upto 32 years old and most of them still play great, I can’t say the same for a lot of digital recordings I made after. Physicality - the package and the commitment of putting something on tape, feels more ritualistic and permanent somehow. Archival purposes - I find it much better to have physical media with labels and a database to find what I’m looking for rather than looking for data files on a hd or thumbdrive, of course these can be added to a database but still not easily stored and browsed and labelled with like a pen, and rely on a computer to be used. My advice is get a late 80’s or 90’s deck, most of them are very well made as long as you stick to well known brands such as Akai, Sony, Yamaha, Denon, Aiwa etc. spares are still available for many decks. A fairly good 3 head will probably run 100/200+ now though, if you are lucky, but well worth it IMHO, a 3 head allows you to monitor direct from tape which is great for recording purposes. But don’t rule out a regular 2 head deck either, you can often find a half decent one for sub 100.
looking forward to the information this thread generates, i have a Technics RS-B608R and am a big advocate of dbx. Also stunned to learn Type2 Chrome tape is no longer manufactured and explains why they’re going for £10 a pop on eBay etc. Anyone sitting on an unopened Type II trove is a rich human. Yeah. This is the biggest setback for me. The prices can get pretty crazy. Apparently chrome cassette production was pretty environmentally unsound. Still, a good ferric or super ferric can actually sound better (IMHO) than chrome with a decent deck, you can generally get more level on them so s/n ratio isn’t too bad, and of course you get a better bass response but a little less hf response - of course down to preference but I like that sound. As far as I know all duplication houses have been using ferric only for some years now. For multitrack use most machines are biased for chrome tapes, but not all of them. Edit: For now you can still get NOS chrome tapes from the links I posted in the first post. I’m actually surprised this forum didn’t have a cassette thread before. Maybe there was a general tape thread? Anyway - I’m excited! I won an ebay auction for a Marantz PMD-430 about a year ago for what seemed like a reasonable price (~$230?). It needs a tune-up, I think, and I need to read about general maintenance tasks, but now I can finally play that DJ X-Dream cassette I’ve had since 2001 or so! More recently, I’ve picked up tapes from Jogging House, Hainbach, Paperbark, blankfor.ms, and some others that pop up on bandcamp. So much good music that I never would have heard of, were it not for this forum! Personally, I want to experiment with cassette loops as well as simply recording full songs / jams straight to the Marantz. Then, either archive those recordings go further by playing them back into the octatrack for more fun and chaos. Seeing the various projects pop up on YouTube has been great for gathering ideas. Born in 1980, cassette tape is definitely a nostalgic medium for me. I hope it sticks around for many more years to come. That is a great price and a nice deck! A couple of years ago I stumbled on a cassette treasure. Somebody had given away their whole huge cassette collection to a recycling centre. I bought around 400 cassettes for 0,20€/piece. Rare 90s stuff I had never even seen on tape before like Prodigy, Massive Attack, Smashing Pumpkins, Portishead etc. Everybody was buying cds at the time those came out. Since then I’ve more than doubled my collection of tapes and started getting into cassettes big time. Bought myself a cheap still boxed Walkman Pro that I happened to find on the internet and I’ve had a couple of 4tracks too. All of them had something wrong with them and I couldn’t be bothered to get them fixed so I sold them cheap. Regretting that a lot now. Now I’m looking for a new Tascam/Fostex because I recently watched an Alessandro Cortini video with him using it more as an instrument. The prices of 4tracks have gone up a lot in the last few years. Hope to find one soon. Yes! Nice thread! 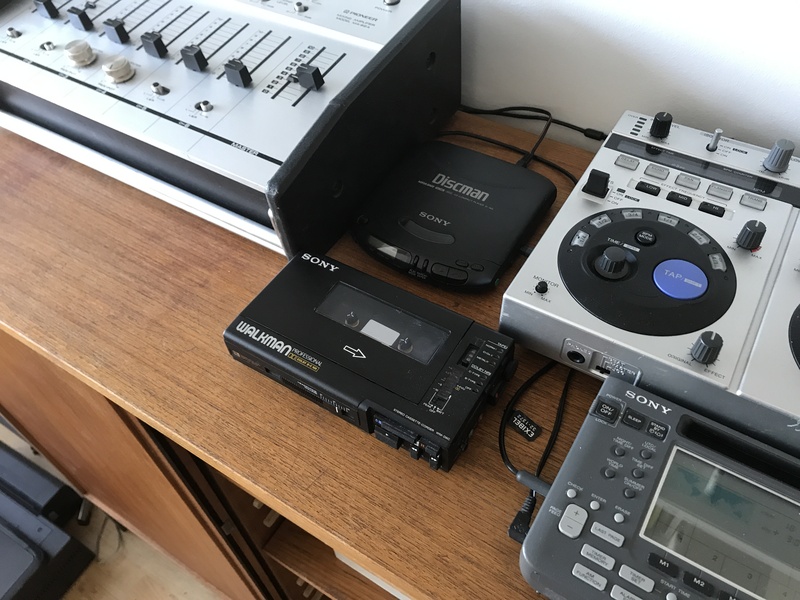 Bought 1 month ago, like @cold_fashioned, a Marantz, not the same, the cp430…I think it’s earlier…as a way to start experimenting with cheap tapes as the named Hainbach or Amulets among others youtubers… and asked to my neighbors for old tapes forgotten somewhere by the years…you know what? Now I have more than 60 cassettes to rec, ferro and chrome… for free…Last week we worked together with my girlfriend trying to make some loop tapes… some gone to trash, but some are ok…still learning…but in the way… And today I received the Yamaha MT4X, in very good condition, from eBay! I’m very happy! On February, someone asked me to make the sound/music for an artistic video done by young students( 10years) about ‘an storm’… so I think I will do something for it with all my new equipment… something different to my usual music. Hope this thread will help with tips, old stories from (old? ) Elektronauts. Good idea, @darenager!! I have a Sony WM-D6C too, really nice portable they are worth quite a lot now, sadly mine needs servicing so I will probably get it done soon, it has a couple of different issues and it is quite fiddly to fix. Does anyone here possess the Landscape HC-TT “cassette turntable”? I’ve been intrigued by it for a long time and seen a couple of them sold second hand here in Finland, but I’ve always been late. Seems like a really fun soundtoy and perfect Octatrack food. Edit: I just realized that there’s a mark II with double cranks on it’s way. Now I’m actually happy I didn’t go for the first one. Use Isopropyl alcohol and cotton buds to clean heads and tape guides but not the rubber rollers, use a mild detergent for those, as alcohol will make the rubber deteriorate. You can restore the rubber using platenclene or RRR (rubber roller restorer) but clean it first. Belts and pinch rollers can often be found on ebay/amazon etc. for more popular decks. Might want to look into re-capping as well, the electrolytic capacitors are often dried out and are often fairly easy to replace. For pots don’t use contact cleaner, use de-oxit, it is expensive but handy to have.